BONGO'S BRING YOU THEIR ORIGINAL RECIPE CHILLI CONDIMENTS, HANDMADE AT HOME IN CHESHIRE. ROCK & ROLL DRUMMER MANNY ELIAS (TEARS FOR FEARS, JULIAN LENNON, PETER GABRIEL, PETER HAMMILL, DOLLY PARTON, JONI MITCHELL) AND HIS WIFE, ACTRESS DEBORAH BOUCHARD (CORONATION STREET, EMMERDALE, COLD FEET) ARE TAKING THEIR PASSION FOR FRESH CHILLIS TO A WHOLE NEW LEVEL. CHILLIMANJARO, MILLIMANJARO, FIREWORK JERK, CHILLIJAMJARO, X-SCREAM CRUSH, FIREWORK JERK AND SECRET BATCH ARE JUST THE OPENING BARS OF THEIR CHILLI BUSINESS. SO COME ON IN AND ENJOY THE SHOW! 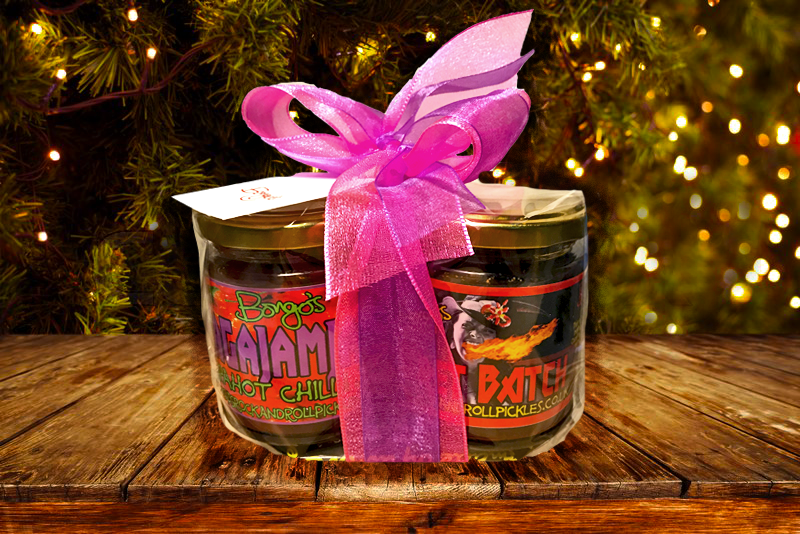 Our Rockin' christmas gift packs are here and you can order online now! Christmas is coming and the chilli’s are getting fat! You can now buy all of our fabulous gift packs at our events and now online too in our shop! 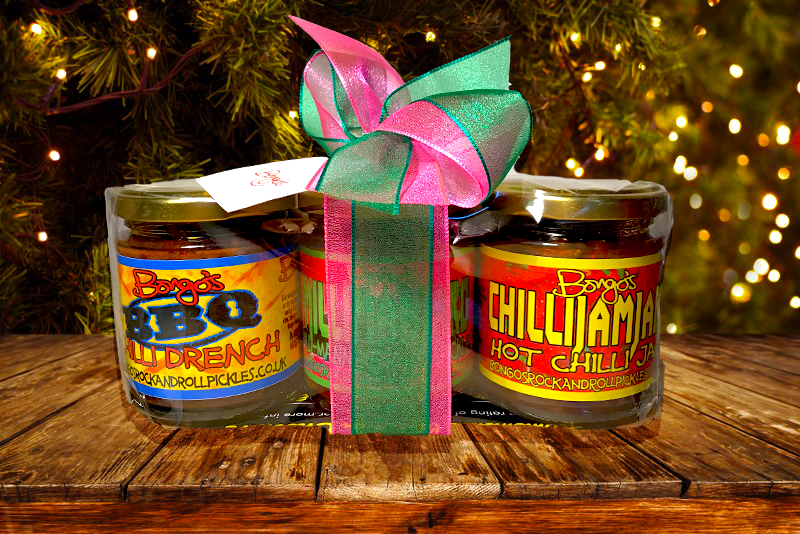 So have a think about who in your life needs a ROCKIN’ gift from Bongo’s for this Christmas. Postage is available until 18th Dec (2nd Class) and 20th Dec (1st class) so be quick folks or you’ll miss out! Alternatively you can email us and reserve one to collect at our events this Christmas. Suitable for vegetarians, ribbon colours may vary. Last chance to get your hands on our Bongo’s 2018! Try our brand new NagaJAMJaro pre order now!